When I saw the cover of the June issue of Vanity Fair, Spain, I had another déjà vu. Salma, amongst jewel tones on the cover of Vanity Fair Spain, June 2010. 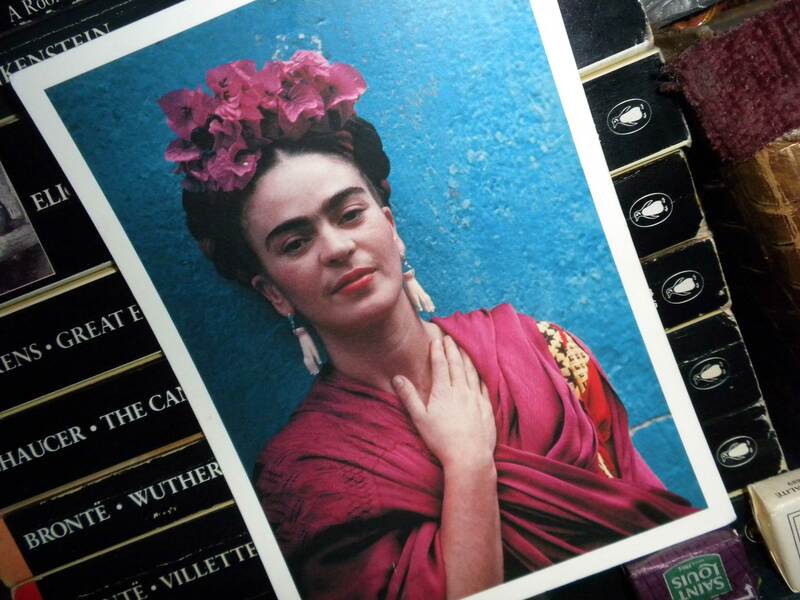 It reminded me so much of a favourite photo of Frida Kahlo that has graced my bookshelf for years. Frida watches over me as I type this. Frida, Coyoacán, 1939. Photographed by Nickolas Muray. 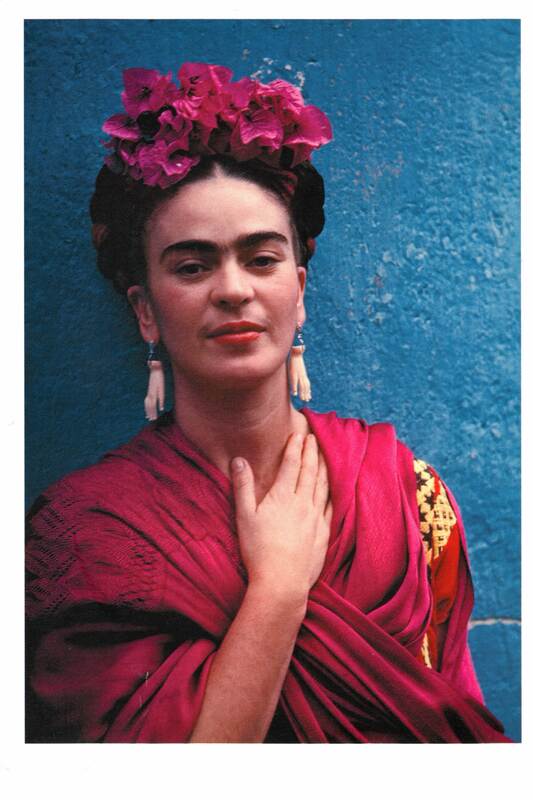 Given Ms. Hayek’s obsession with all things Frida, this is no coincidence. The same hues of turquoise and fuchsia appear in both images, albeit reversed. The constant dance between head and heart are suggested with each woman’s hand placement. While Salma wears a modern dress vs. Ms. Kahlo’s traditional Mexican robes, the drapery is echoed and the rosettes in Kahlo’s hair show up around Hayek’s neckline. 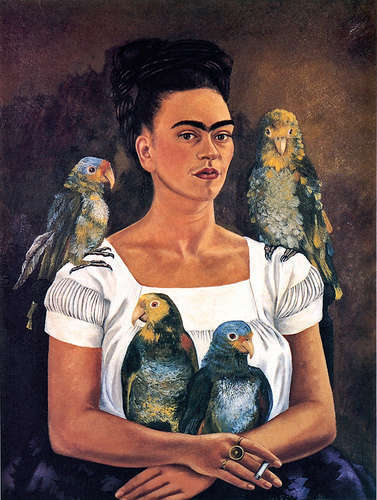 Frida painting from About.com. VF cover courtesy of magxone. Postcard image by Nickolas Muray, scanned by me.